Did Jerry Brown's 'Go-Biz' Win Orange County for Clinton? 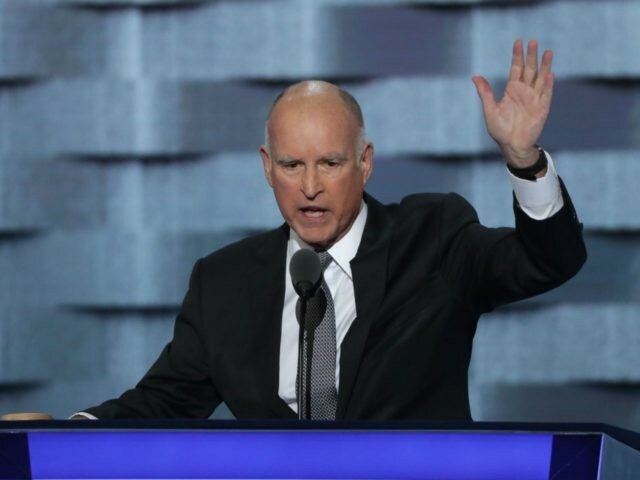 Did Jerry Brown’s ‘Go-Biz’ Win Orange County for Clinton? Many states usually squander millions to bribe companies to bring in factories that will employ thousands of blue-collar workers, but California’s ‘Go-Biz’ program will squander a quarter of a billion dollars this year to add just a small number of high-paying, mostly white-collar jobs. It is not unusual for states to compete with tax credits, subsidized loans and even cash grants to attract major companies to build or keep a big manufacturing facility. Economists provide cover for this activity by acknowledging that every production job creates about 4.5 ancillary jobs to support factory workers. The most visible is the $7 million deal President-elect Trump and Governor Pence put together to keep nearly 1,000 Carrier jobs in Indiana. But California Governor Jerry Brown’s Office of Business and Economic Development (Go-Biz), which was created in 2013 to provide “a single point of contact for economic development, business assistance and job creation efforts,” has turned into a stunningly big slush fund. To fund this supposedly noble effort, the Democrat-controlled California legislature slathered Brown with $28 million in fiscal year 2013, $71 million in FY 2014, $200 million in FY 2015 and $243 in FY 2016. Although many critics complain that this tsunami of crony capitalism is used to reward partisan political allies, one of the biggest beneficiaries of the program this year has been traditionally conservative Orange County. But for the first time since Democrat Franklin Delano Roosevelt won Orange County at the depths of the Great Depression in his 1936 contest against challenger Alf Landon, Hillary Clinton won 395,801 votes and beat Republican Donald Trump‘s 356,892 votes by 5 percent in the county that has long served as a national symbol for the GOP — the home to Richard Nixon and the cradle of Ronald Reagan’s conservatism. Many claim that Hillary Clinton turned Orange County blue because of support from minorities and college-educated women, but an unusually large 17 Orange County companies out of 103 statewide received incentive deals in the run-up to the November election. Of the $70 million in the pre-election tranche of deals, Orange County received $10 million in tax breaks. Five companies earned at least $1 million, and a number of small businesses received less than $80,000 each. Winners included Cerner Corp., American Psychiatric Centers, Ambry Genetics, Glidewell Dental Ceramics, NCSoft, MicroVention, MX Holdings US, Electronic Waveform Lab, Pscore Inc. and Cohen Ventures. In the first post-election deal, Go-Biz also gave Japan’s Yamaha Corp. of America subsidiary a $3 million tax break to encourage its Buena Park subsidiary, which distributes musical instruments and audiovisual equipment, to add 66 new jobs at a taxpayer cost of $45,000 per position. GO-Biz is scheduled to host three workshops on the California Competes Tax Credit program Dec. 14 in Fullerton and Garden Grove, and Dec. 15 in Mission Viejo.